Installing a new boiler is a critical job that requires a fully accredited and registered plumbing and gas company that you can rely on. That’s where Absolute Plumbing and Gas Solutions can help. 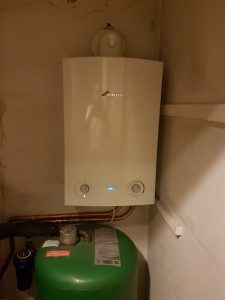 We have years of experience in installing new boilers in the Dunstable, Luton and Milton Keynes area and a large portfolio of satisfied customers. Why Choose Us in Dunstable, Luton, Milton Keynes? 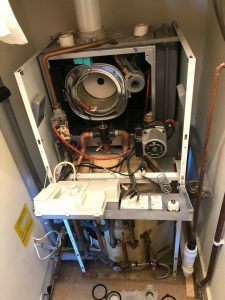 We understand that when boilers breakdown it can be a stressful and worrying time and even more so if you require a new boiler installation. We aim to make any new boiler installation that we carry out as painless as possible with the minimum disruption. We’re also conscious that many people are intimidated by the cost of a new boiler, which is why our boilers start from the modest price of £1,750. When we visit your home or business to carry out an assessment we will provide you with a clear and upfront quote with no obligation. All our new boilers are supplied with a 10-year warranty that will give you peace of mind knowing that your boiler is protected. As a Green Deal Approved Installer, you can use this government-backed scheme to save money by choosing us for your new boiler installation. We are also OFTEC approved and our team of engineers are Gas Safe Registered and hold all relevant qualifications and certificates. Our engineers work safely but efficiently and will leave your property tidy and clean. Their years of experience will provide you with the very best installation, and with a boiler that will save you money in the long-term. At Absolute Plumbing and Gas Solutions Ltd, we cover the Dunstable, Luton and Milton Keynes area. Contact us via phone or our website to discuss your boiler installation requirements.